If you have termites in your home in Newport Beach, California, it’s understandable that you’d want the problem addressed as quickly as possible. After all, waiting to have your home treated can result in extensive and costly damage. However, acting without researching your options might lead you to fumigation when it isn’t necessary for your home. At Kilter Termite and Pest Control, we offer an alternative that is just as effective and much more convenient. 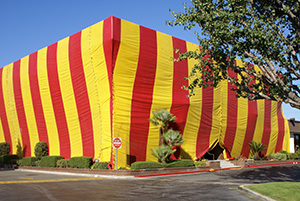 Having your home fumigated is a hassle. You’ll have to leave your home for days at a time, bag up your food and medications, and worry about negative health effects after you return home. At Kilter, we use the innovative KILGUARD system instead of fumigation. This treatment method does not involve the use of gasses or fumes, so you can remain in your home during the entire treatment process. KILGUARD is not toxic to people or common household pets. In fact, you won’t even need to worry about it harming your plants. Most importantly, KILGUARD is exceptionally effective at eliminating both drywood and subterranean termites – the two species commonly found in California homes. And, typically one visit is enough to eliminate the infestation, which helps homeowners save money. Contact Kilter Termite and Pest Control today to learn more about the proven-effective alternative to fumigation – KILGUARD. We’re proud to serve homeowners in Newport Beach, CA, and all surrounding areas.